Red River College plans to launch Canada’s first Social Enterprise diploma. 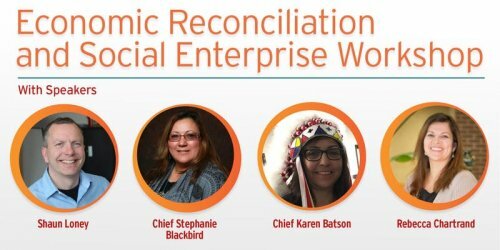 Join us to learn more from Indigenous leadership and Social Enterprise practitioners. Shaun Loney, author of the national bestseller An Army of Problem Solvers: Reconciliation and the Solutions Economy. Students, leaders of non-profits, First Nation leadership & economic development officers, civil servants, procurement officers, college and university instructors, refugee advocates.